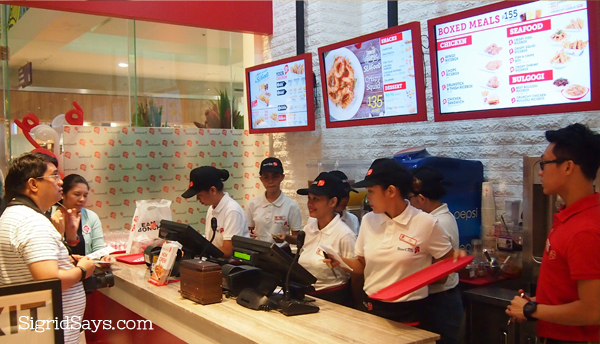 The BonChon branch at SM City Bacolod, located on the ground floor of the North Wing. 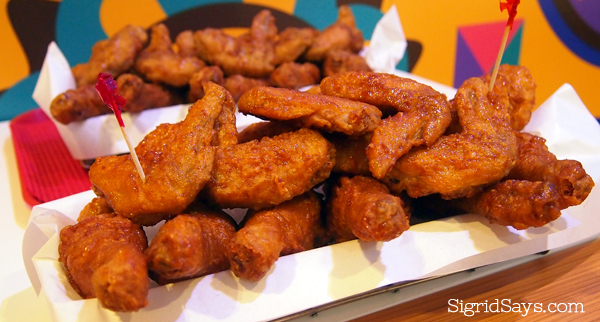 BonChon Chicken, the well-loved crispy saucy glazed chicken phenomenon is now in Bacolod! It formally opens its doors to Bacolodnons today, Sept. 18, 2015, at the ground floor of the restaurant strip, North Wing, SM City Bacolod. 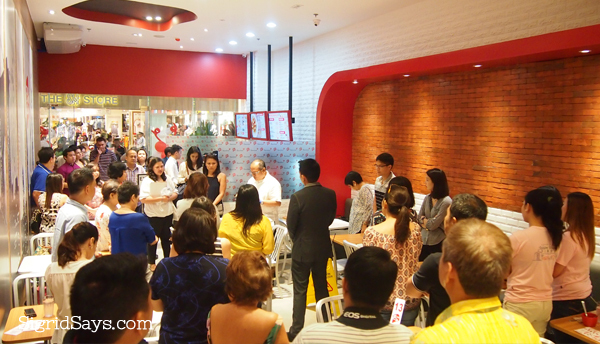 Dedication and blessing of the BonChon Bacolod branch by Atty. Lyndon Caña. 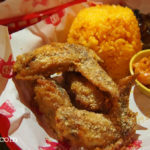 BonChon, which literally means “my hometown” in Korean, serves their signature Korean-style fried chicken that is super crispy on the outside yet light and non-greasy. But on the inside, it boasts of hot, moist, and juicy meat. A tray of Soy Garlic chicken that includes different parts. 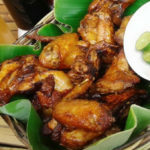 BonChon believes that each person has a unique palate and would want their chicken served their way, so the fried chicken comes with three different sauces — the classic soy garlic, spicy, or honey citrus glaze. You may also ask for a double glazing of your chosen sauce and it is all for free. Negros Bloggers ordering from the counter during the BonChon private affair. From its original home in Seoul, BonChon has opened branches in New York, where its crispy glazed chicken has earned major media and industry accolades. 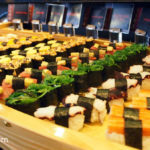 Its similar success in other US cities such as San Francisco, Boston, Virginia, and New Jersey set the stage for the restaurant’s international expansion. Soon the chain grew to Bangkok, Manila, Jakarta, and Singapore. Left: Crispy Squid Rice. Right: Classic Korean bulgogi by BonChon Chicken Bacolod. Available in two ways: traditionally as Beef Bulgogi Rice and as BonChon-style in the Crunchy Chicken Bulgogi Rice. 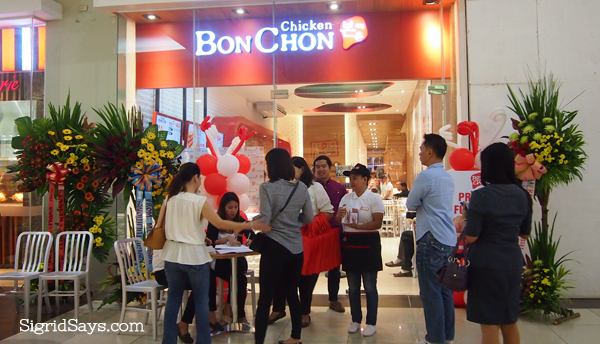 After four years of operations in the Philippines, BonChon has grown to 90 stores all over the country, including branches in Cebu, Davao, Baguio, General Santos City, Cagayan de Oro, Boracay, and now in Bacolod. 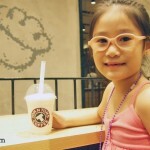 The brand was first strengthened in the Manila area, which is the reason why all of the stores there are company-owned. It was only a couple of years ago that they opened the concept of franchising in the provinces. But aside from their signature, glazed crispy chicken, BonChon gives Bacolodnons the pleasure of savoring other dishes, as pictured below. 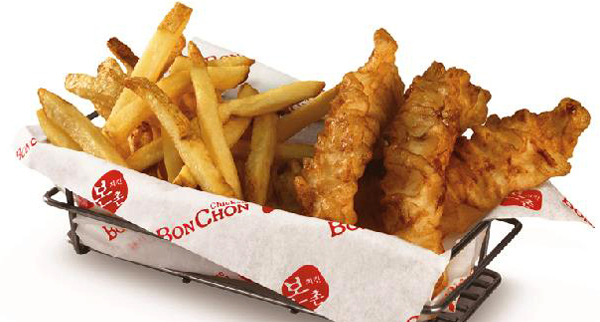 BonChon’s version of the English classic of Fish and Chips. 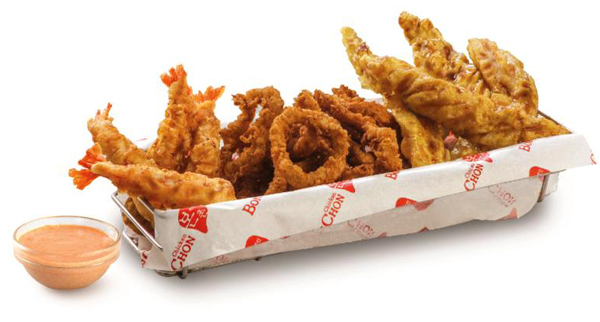 The Seafood Platter at BonChon Chicken Bacolod with spicy mayo sauce. Oriental Crispy Chicken Salad or the classic Caesar Salad at BonChon. Bonchon’s version of Crispy Chicken Sandwich. 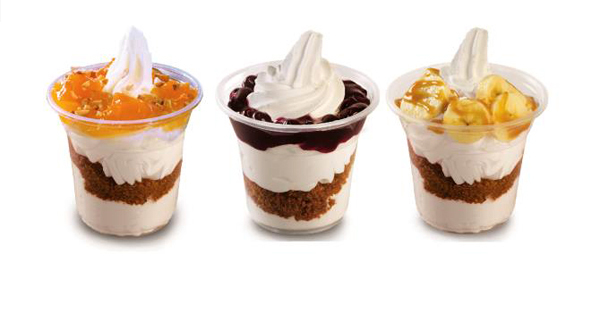 The famous BonChon Ko-Yo (or Korean Yogurt) strikes the perfect balance among tart, sweet, cool, and creamy – served in alternating layers with home-baked graham pie crust, and offered in Mango Sans Rival, Blueberry Torte, and Banoffee Pie variants. 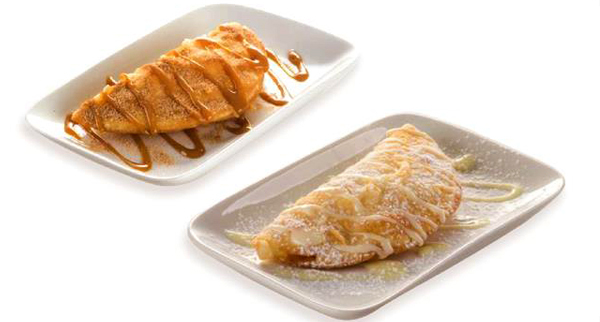 Crispy Crepes by BonChon Chicken Bacolod: For dessert, crispy dough filled with fruit preserves and finished with delicious toppings — Apple Cinnamon or Mangoes and Cream. BonChon is well on its way to realizing its vision of having a branch in every key city in the Philippines. 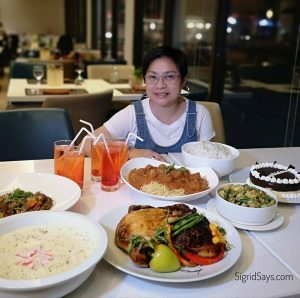 The management remains steadfast in its commitment to serve fresh, innovative food at reasonable prices, and delivering much value to its clientele without any shortcuts. 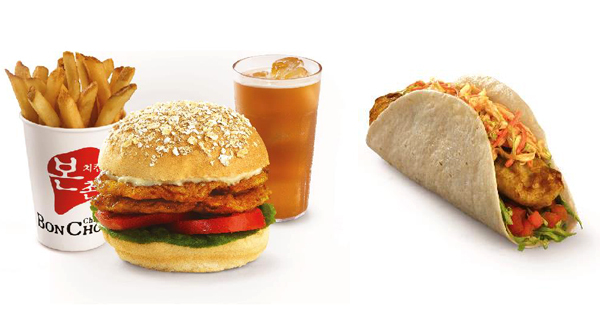 Try them today at BonChon Chicken Bacolod and take advantage of special promos for their opening day. 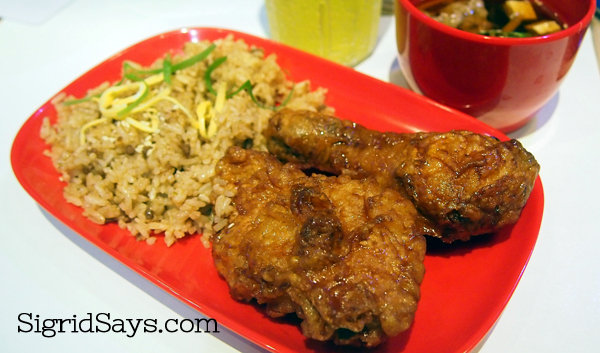 BonChon Chicken Bacolod thigh and leg with fried rice. Note: Unless indicated, the product photos are from the company's press release.